Mary Ann Miles was born in Evershot, Dorset in 1839 to parents James Miles and Elizabeth Groves. She was the 4th of 6 children, born to the couple. 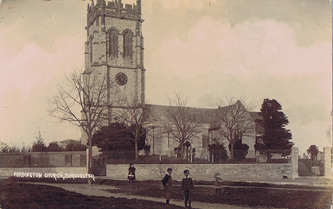 She was christened on the 3rd November 1839 at Evershot Parish Church (St Osmunds). 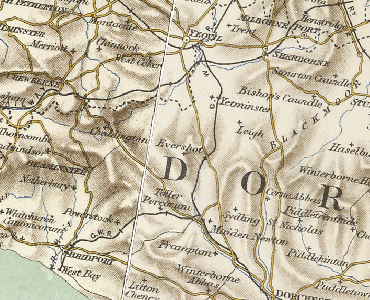 from Nettlecombe in the 1850s. The couple and daughter Rose Anna stayed in Evershot until the 1870s, when they moved to Pipsford Dairy house, Pipford, Corcombe, Dorset. Joseph worked as a dairy man. 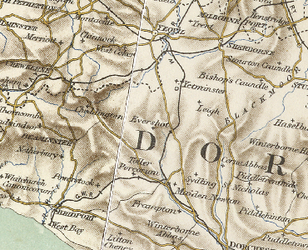 By the 1891 Census he lived at Commonwater Rd, Broadwindsor, Dorset. John Miles 1844 – 1906. John took up employment as a Carter, at the time of the 1881 census he was a lodger at Cottage, Frome St Quentin with Caroline Dowell. He went on to marry Caroline, twenty years his senior later that year. They moved to Up Mudford, Somerset. Mary Ann stayed in Evershot in her younger years, no doubt attending the primary school (founded as a Free School in 1628). In the 1861 Census the family are listed as being resident on Back Lane, Evershot. On Tuesday 26th September, 1865, a devastating fire which had started at a carpenter’s house in Summers Lane swept through the lower end of the village, destroying fourteen cottages, two slaughterhouses, two stables, several linhays, a barn and a cowshed. Three fire engines, one from Yeovil and two from nearby Melbury House on the Earl of Ilchester’s estate, eventually brought the fire under control, but more than 100 people were left homeless. 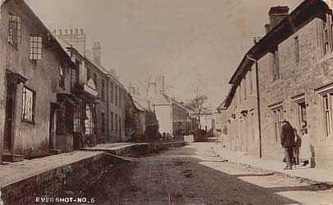 At some point Mary Ann must have left Evershot, as in 1867 at the time of her marriage to Edward Hellard, she was resident at High Street, Fordington, Dorchester (working as a servant). They married on 27th October, banns were read by Frederick John Moule. Edward and Mary set up home on the notorious Mill Lane, in Fordington. Edward took employment in the local Iron Foundry (he worked as a porter when they married) and had children Elizabeth born 1869, and Willie born 1871. Shortly after the birth of Willie, Edward moved north to Nottingham (most likely seeking a better life). It appears Edward and Mary set up home in North Ville Street. After settling in Nottingham, Edward and Mary had a son Walter in 1875, followed by daughters Mary Ann in 1879, and Ada in 1883. At the time of the 1881 census, Edward was employed as a labourer. In 1890 their oldest daughter Elizabeth married John Spurr (an Insurance Agent). At the time of the 1891 census, Edward and his sons were in employment, Edward worked as a "smith", Willie worked as a lace maker, and Walter worked as a fitter. A few years later in 1894, their son Willie married Hannah Taylor, after his marriage Willie continued his career as a lace maker. In the summer of 1897, their son Walter married Alice Talbot. A few months later, Mary Ann died age 58, leaving Edward to raise daughters Mary Ann (age 18) and Ada (age 15).